Many of you have seen the ads all over social media, so I decided I would go ahead and try it out for a month to see what it was all about, and if it was worth it (a one free month email helped). There are 3 options you can roll with, the $1 a month option ($3 with shipping and handling), $6 a month option (shipping and handling included), and the $9 a month option (shipping and handling included). I decided that realistically if I were ever able to commit to it I would go middle of the road, so I tried out the $6 a month option. The packaging (pictured above) was just normal packaging, nothing fancy about it, but the inside of the package is what really impressed me for the price you pay. 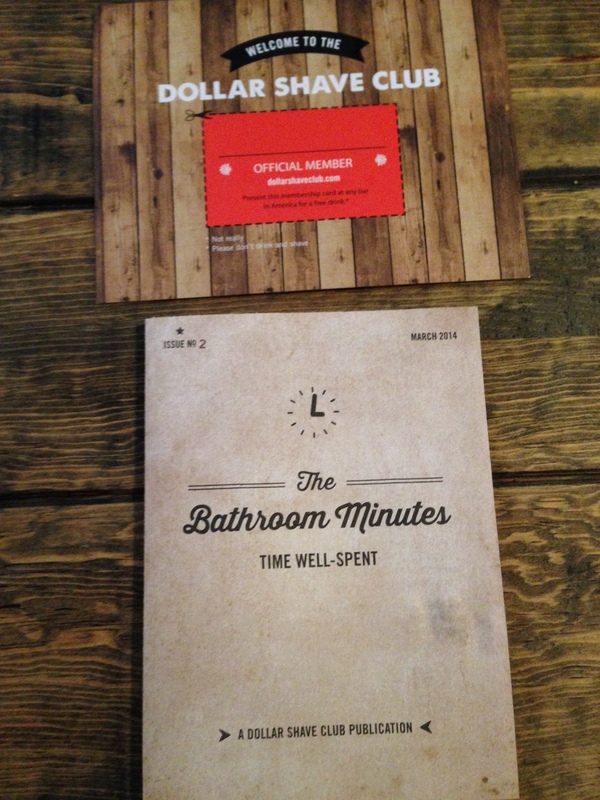 First, the brochure and welcome. 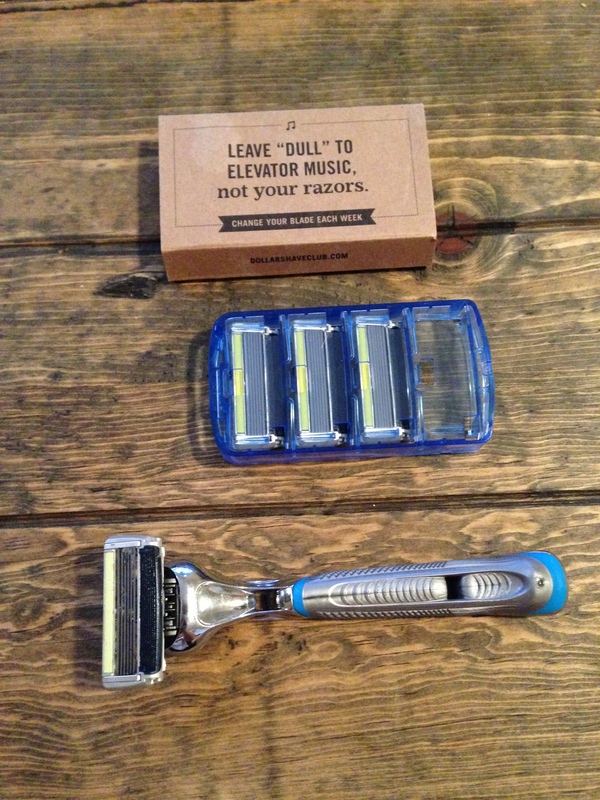 They could easily just ship you a razor and blades every month, but try their best to make it personalized for you. 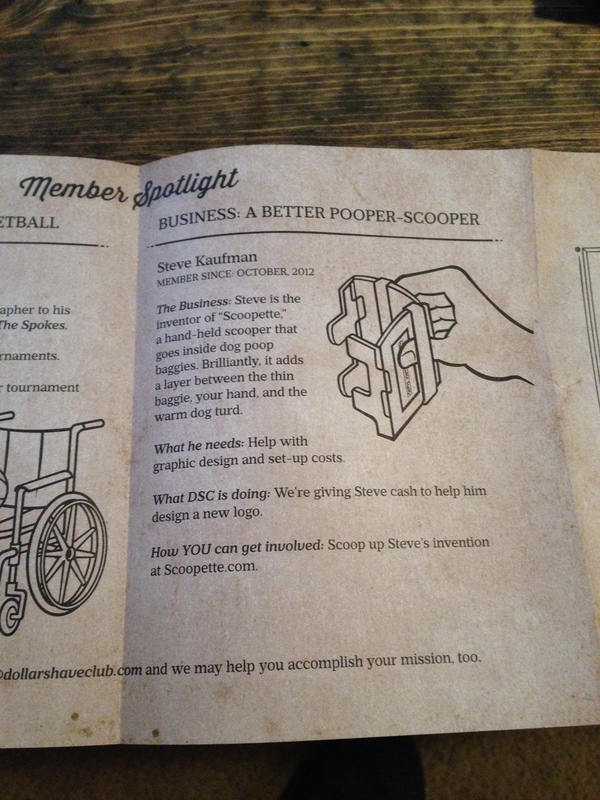 One of the coolest things inside the “Dollar Shave Club Publication” is that it changes every month and there is something different to look forward to. 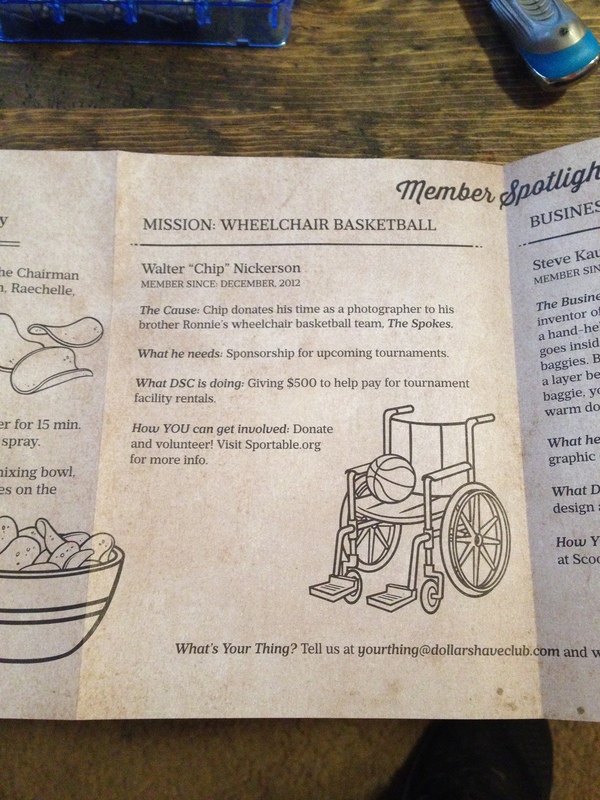 In the “Member’s Spotlight” for example, they have a different “mission” every month for the subscribers to donate to and explore other lives of different subscribers. They also have a different business people can look at and help with if they are interested. Pretty cool stuff and a great idea. Now lets get to the actual razor and blades. The Razor was super nice for “$6”. Was arguably nicer than my current Gillette razor. It also came with 4 cartridges for the razor. The cartridges come with 4 stainless steel blades (compared to 2 blades for the $3 a month and 6 blades for the $9 a month). 4 blades was plenty enough for me. The shave was smooth, and can easily re-use the cartridges several times. Overall, a great shave with quality products. Another thing that they included in the first package I received was a sample of “Dr. 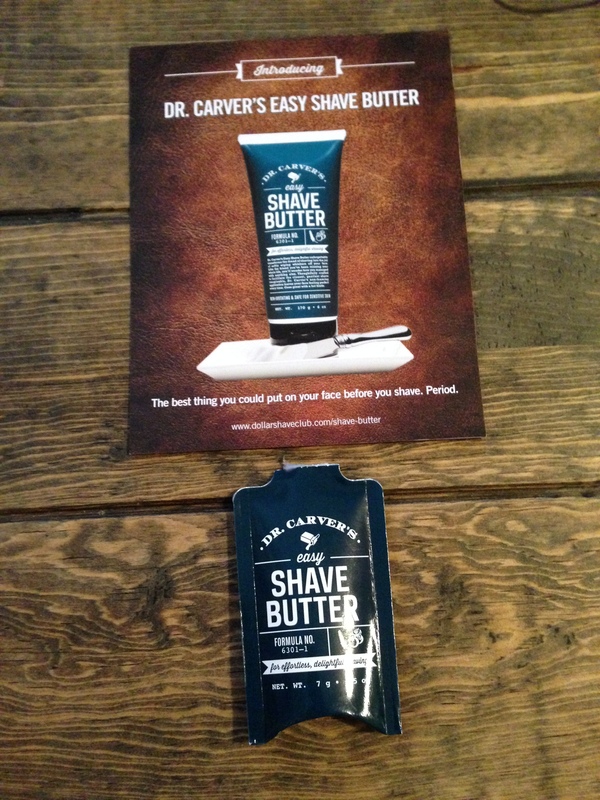 Carver’s Easy Shave Butter”. It is a “butter” you put on your face before you start shaving. I will say, it made me want to instantly buy more of just the butter. So should you try it out? I say yes. I was able to sign up for my free trial, put in my info (even credit card info), and had no charges or hassle of cancelling. They say you are supposed to use “one cartridge a week”, but if you are like me I wouldn’t use it that often, so if I were to go back, I would probably do an every other month option. The main target is for men, but they do mention occasionally in the website that women can use it as well. You can customize it to where you don’t want to receive every month, etc. It beats going to the store every other month and buying refills for $20-$30, or reusing dirty cartridges. Has anyone else used it? Let me know! Want to try it out? 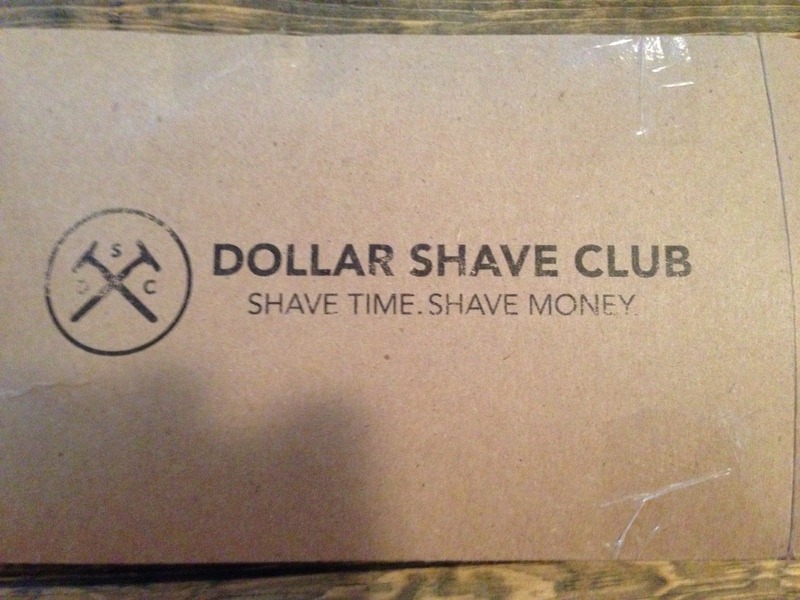 Visit the website at https://www.dollarshaveclub.com and give it a try!